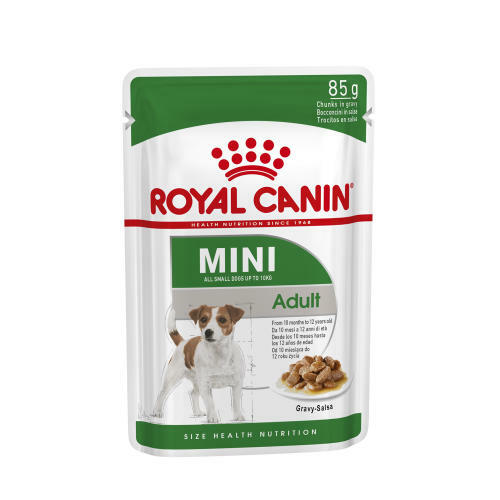 ROYAL CANIN Mini Adult Wet Dog Food Pouches in Gravy 85g is sure to keep tails wagging! This is a complete wet food for adult small breed dogs (from 1 to 10kg) from 10 months to 12 years. Composition: 1.1%. Crude oil fats: 5.5%. Moisture: 81%. Protein: 7.5%. Please see image for feeding guide.